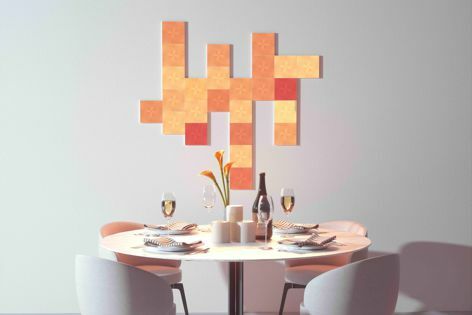 The Nanoleaf Canvas can change the ambience of a home with a single touch. Nanoleaf Canvas is a touch-controlled, modular smart light with built-in music sync and the ability to create truly immersive lighting experiences. The Nanoleaf Canvas can change, shift and grow with the user. It has interactive touch technology engineered to react to unique gestures, so the user can touch to turn on or off, adjust brightness, switch animations and activate the music visualizer.